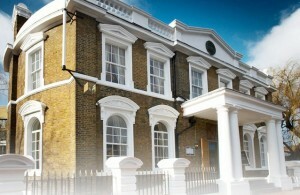 Dockmasters House is located in a gorgeous 200 year old listed Georgian building in the heart of London’s Docklands. It has been restored beautifully but retains all of it’s charm and history. Whilst the inside retains some exposed brickwork and original marble floor it is also light, modern and chic a far cry from many Indian restaurants. The far side has huge floor to ceiling glass windows overlooking the garden which let in a huge amount of sun. The setting and the fact that they claim to be ‘Indian Fine-Dining’ meant that the food had a lot to live up to before I even sat down! In many ways it did, with top quality and innovative starters like ‘Chilli Scallops & Squid’ served with an apricot sauce and ‘Duck Samosas’ with ginger & pear chutney which wouldn’t be out of place in any high end restaurant. The ‘Kebab Platter’ is much more traditional, a trio of tandoori prawn, chicken tikka & a ginger lamb chop. Well cooked and flavoured if a little less interesting than the previous dishes. Less successful are the attempts to fuse fine dining with street food, a selection of which can be found in the ‘Mumbai Chaat Platter’. Consisting of Pani Puri, Sev Puri and Sabudana vada served with 3 sauces (tamarind, green chatni & yoghurt) it felt like it had come out of a different kitchen. Main courses came out looking very impressive and after the starters I had high hopes. I had ‘Adraki Lamb Chops’ which was cooked OK but I would have preferred slightly more pink. It had a nice ginger flavour but little heat which was disappointing, a good amount of chili kick would have really lifted the dish. The same is true of the cumin potatoes it was served with. Whilst fairly tasty they are very 1 dimensional, they taste of cumin and nothing else not the complicated, multi layers of spicing that I’m sure the chef is capable of. My companion ordered ‘Lamb Shank Nehari’ served with crushed tomatoes. It also looked very good and was perfectly cooked obviously slowly for a very long time as it quite literally fell off the bone. He was very happy with it but again I felt it lacked a bit of depth of flavour. We ordered okra & asparagus side dishes, the asparagus was delicious but the okra was slightly overcooked which turns it a bit mushy. If the main courses underwhelmed they certainly made up for it with desserts. My Mango Pannacotta was a delight. Vivid orange colour, rich and creamy with deep mango flavour and a perfect wobble, I couldn’t have asked for any more. 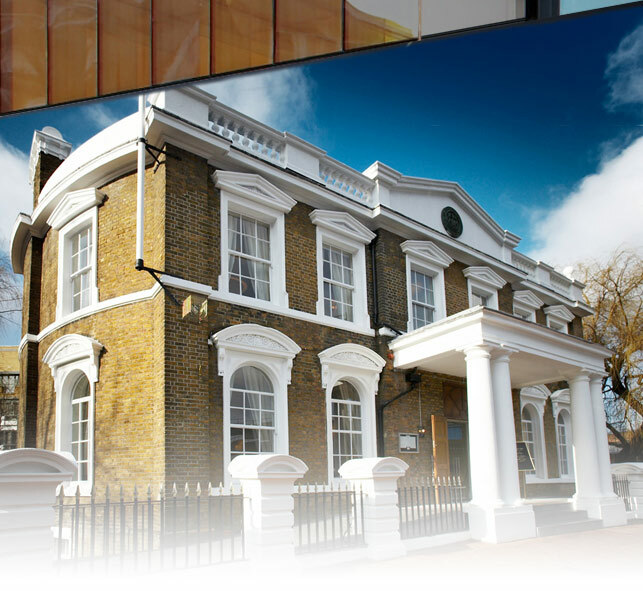 I enjoyed my time at Dockmasters House despite my reservations over the main courses and ‘street food’. I wouldn’t call it fine-dining but it’s definitely a good attempt at lifting Indian food from the traditional curry house.